It’s a fascinating view. A little microcosm of the world. 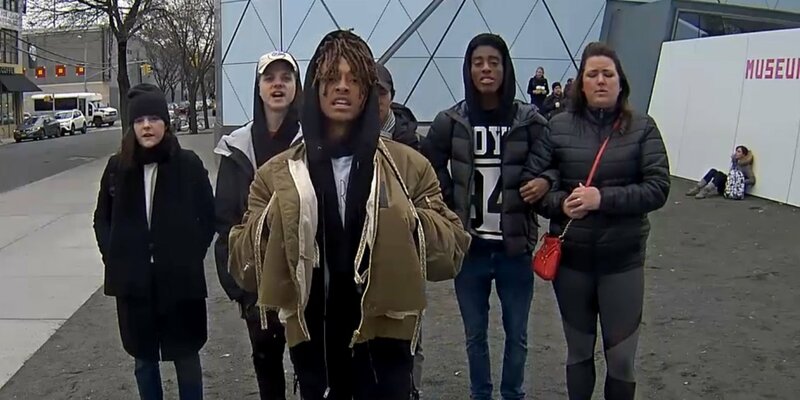 I hope it stays civil, but given that one of the installation’s creators, Shia LaBeouf, was arrested for alleged assault a few hours ago, I worry. Take a look. Judge for yourself. “Commencing at 9am on January 20, 2017, the day of the inauguration of the 45th President of the United States, the public is invited to deliver the words “HE WILL NOT DIVIDE US” into a camera mounted on a wall outside the Museum of the Moving Image, New York, repeating the phrase as many times, and for as long as they wish.